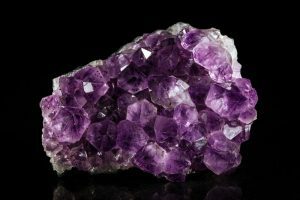 When the time comes to talk about Amethyst, we immediately recall the historical images from the past, and legends and myths about that stone start swirling around us. 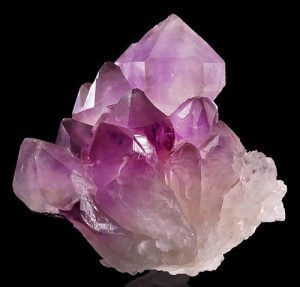 Amethyst is a star among quartz species. Amethyst could brag about Dionysus’ love. According to a legend, Dionysus, the God of wine fell in love with young virgin Amethyst, who refused him. Short-tempered Dionysus pursued Amethyst to overcome her by force. To protect the girl’s chastity, she was turned into a stone. The varieties of Quartz are abundant on earth, but the one that continues to grab the spotlight in the jewelry world is Amethyst. This word derives from the ancient times and means “one who can not get drunk.” So, if you deal with tipsy people, it is better to always wear it as a precaution. Amethyst is the Gem that is associated immediately with the purple color, although there are also Sapphires and Tanzanites of this color. It is the birthstone for February and the traditional gemstone for the 6th wedding anniversary. This wonderful Gemstone belongs to the group of large Quartz crystals. Until the nineteenth century, Russia was the only source of Amethysts, but it lost its fame as a rare gem as soon as huge deposits were discovered in Brazil. Immediately after the discovery of extensive Brazilian deposits prices for Amethyst dropped dramatically, making this gemstone, so elegant in color, a commercial gem suitable for mass jewelry. Zambian, Maraba Amethyst and so on and so forth. In addition to the legendary Zambian deposits and the Maraba Amethysts excavated in Parà, the Four Peaks Mine was re-emerged in Arizona after being inactive for 20 years. 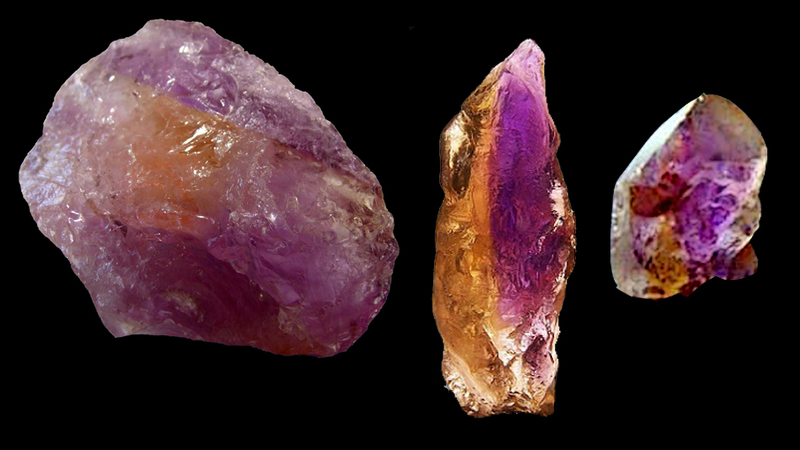 The American mine produces both Amethysts of exclusive quality and the commercial ones. Minor sources of Amethysts are located in: Canada, India, Madagascar, Mexico, Myanmar, Namibia, Sri Lanka and Tanzania. India and Thailand cut most of the commercial crude gems. Raw gemstones of high quality are cut in the famous German town of Idar-Oberstein. Absolutely fascinating is the Lampivaara Mine located in the middle of Lapland’s beautiful landscape. But not less impressive is the Blue Point Mine in Ontario, Canada. Ametrine, the child of Amethyst. Ametrine is transparent bi-color variety of Quartz, the mixture of Amethyst and Citrine which exhibits the colors of Amethyst and Citrine side by side. The only one significant source of natural Ametrine is the Anahi mine in Bolivia. This incredible mine is located 150 km north of Puerto Suarez, near the Brazilian border, and that is why Ametrine is known also as Bolivianite. Ametrine is formed in incredible geological conditions. These are the sudden changes in temperature and the perfect combinations of chemical elements that give two unusual colors to the same crystal. During the first expedition of the Spaniards to Eastern Bolivia a soldier called Felipe de Urriola y Goitia made contact with the peaceful Ayoreo tribe. Shortly after that he got head over heels for princess Anahi, the daughter of the Ayoreo chief. Don Felipe asked her father’s permission to marry her, and the chief agreed, despite the fact that his malicious advisers directed him to another choice. Moreover, he gave Don Felipe a mine that produced beautiful two-colored gems. Don Felipe was not very interested in the mine. In fact, in those days the Spanish Conquistadors paid more attention to the gold, silver and emerald mines. Unfortunately, we still do not know if it was a true love between Anahi and Don Felipe ..